iOS apps are more in demand nowadays. There are many things newly launched by iOS App development company. Almost new technologies applied first by the Apple in iPhone and iPad. For e.g. iBeacon is the device which is considering as IoT for making more better apps and user ease. There are retailers using the iBeacon devices and growing their business one step up in present time. Apple is continuously putting efforts to provide their users something new and keep it simple and secure. The blog has listed with few trends of iOS app development which can be considered by the developers. iBeacon is one proprietary of Apple but that doesn’t mean Android devices and other devices cannot see this beacon as well. Beacons and iBeacons are not really just for Apple devices, you can use them across your customer base. The retailers may have huge benefit using the Beacon Technology in the retail market. The technology was not initially accepted in the beginning of 2015. But few of the Apple iOS App had launched Beacon App for the retail industry and had blasting success rate as compared to other technology. The experts of the retail market say; 85% of US retailers have already deployed Beacon by the year of 2016 gaining a total sale of $4 billion. By default, the majority of beacons that are out there are not connected to the Internet. Eventually, some of the beacons will be Internet connected. It’s a chance that they will be able to send some device level data back to a platform. Generally, this is use more for remote updating of your beacons, maintenance, understanding which beacons have run out of battery, which ones need to replaced, which ones might have some issues, and less about tracking. At one level, app development has limit according to user demands. The users want the apps to access at everywhere. The cloud-based application allows mobile access to corporate data via iPhone. Security is the biggest weakness on the mobile either Android application or iOS application and personal devices. The smartphones are being used globally by the user. The business people could use the cloud computing features to keep a connection with colleagues and clients from distance location. You can offer to access information to employees on travel, freelance employees or remote employees for good work-life harmony. Since years ago, Objective-C is the mainstay for iOS apps. Swift is innovative, a new proprietary programming language from Apple that can co-exist with but is significantly better than Objective-C. Swift is growing language. One must learn Swift now if they are developing an application. A syntax does not change as Apple improvising the language. Swift will result in better apps for iPhone, Mac and iPad user. Swift is faster to code and easier to test than Objective-C. Swift is designed to provide seamless compatibility with Cocoa and objective-C. Swift is designed to replace Objective-C for Apple apps and a more powerful language than Python. Swift is one of the most in demand trends in iOS app development. In the present time, Mobile business is exploding. Most of the user have continuous questions regarding security when they are purchasing a product or make a business deal using mobile apps. Now it is the responsibility of developers to add high-end security features in the mobile app. So users will have trust his/her company’s app. Wearable Technology brings a revolution in the way you do many tasks. The wearable technology applications can smartly support you for the betterment of your business or some tasks you manage daily. IoT has evolved from the junction of wireless technologies, micro-electronic system, microdevices and the internet. The convergence has helped destroy the barrier between operational technology and information technology that allows unstructured machine-generated data to be analyzed and will drive improvements. IoT and wearable technologies are the new trends in iOS app development. Any apps developed for e-commerce company will be free as well as gaming and another non-e-commerce app also. Developers will depend more on advertising and marketing within the app itself to make their profits. Most of the free apps developed with the marketing purpose to take higher ratio in the market. A career oriented developers are now turning from web developer to app development jobs. Every e-commerce website will ultimately have to have a mobile app, and there is plenty of money to be made. The wallet and beacons technologies are increasing mobile users because users are most apt to purchase if checkout and payment process is made simple and secure. The developers can follow the trends in iOS app development for the betterment of app creation. Considering all of the things to be made trends in iOS app development, still, many more changes and disruptions are there to come in design and development. The information binds in the blog for new trends to use by the developers are more useful and gain some more knowledge to create best of the previous one. Enjoy the development. The blog has listed with few trends of iOS app development which can be considered by the developers. Thank you for getting this valuable information. iPhone app development market is huge and it has tough competitions. Thanks for sharing this amazing post about latest trends of ios app development. Glad to see your other blog about app development. Apple has long been one of the most innovative technology minds that the world has witnessed and the innovator is apparently particular about the quality of his innovations. Great Post Thank you for sharing with us. Mobile apps nowadays going beyond the limitations. People want each and everything in their hand and wants easy operation methods for any app or devices. Smartphones with tremendous technology made possible to run anything on the devices easily. Thanks for sharing this content here with us. ios is a very vast platform for iPhone app developers. everyday generate a new technology by app developers because there is a competition among all of the app development companies. Thanks for sharing this informative post about latest trends in technology this is very useful. Great Post!Thank you so much for sharing this kind of wonderful things. Fantastic web site. A lot of helpful info right here. I’m delivering the idea to a few associates and in addition sharing in delectable.. designer web And of course, good effort! Thanks for sharing your article. 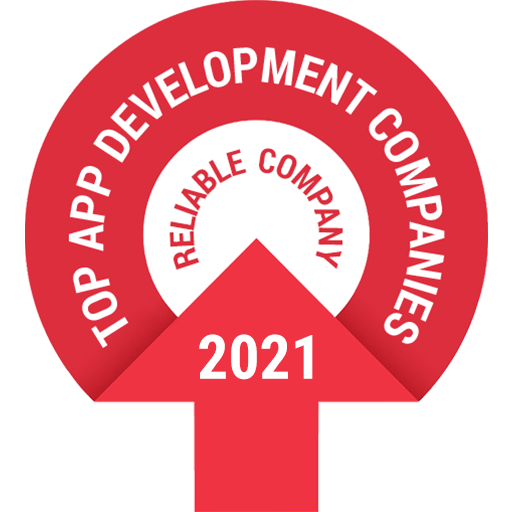 Good to see a list of top I Phone Application development. Looking forward to your next article. Great Information, Thank you for sharing this valuable information. I was finding latest trends of iOS app development. Happy to getting from your fantastic website. I am very happy after studied your blog because you keep up on accurate content of blog and you well known about related subject. Hey i am Jim Witt and i am also found a blog complete relating with your blog then you can also read it. Thanking you for great response.